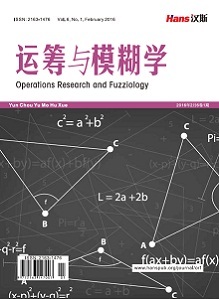 For a class of nonlinear programming problems with interval coefficients, a genetic algorithm based on a uniformly searching scheme is proposed in this paper. Firstly, the original problem is transformed into two exact bilevel programs. Secondly, the upper level variables are encoded as individuals, and these individuals are evaluated by solving the bilevel programs. Finally, in order to avoid producing similar offspring by inbreeding, a relative distance is adopted to provide a threshold value for crossover. Also, an orthogonal crossover operator with point oscillating is provided to generate offspring as uniformly as possible. The experimental data indicate that this algorithm is feasible and effective. 曲思源. 铁路空车调配问题的区间线性规划模型及算法[J]. 华东交通大学学报, 2015, 32(3): 6-11. Majumder, L. and Rao, S.S. (2009) Interval-Based Optimization of Aircraft Wings under Landing Loads. Computers and Structures, 87, 225-235. Liu, S.T. (2009) Using Geometric Programming to Profit Maximization with Interval Coefficients and Quantity Discount. Applied Mathematics and Computation, 209, 259-265. 蒋峥. 区间参数不确定系统优化方法及其在汽油调和中的应用研究[D]: [博士学位论文]. 杭州: 浙江大学, 2005. Duprajitno, H. (2010) Linear Programming with Interval Arithmetic. International Journal of Contemporary Mathematical Sciences, 5, 323-332. Jiang, C., Han, X., Liu, G.R. and Liu, G.P. 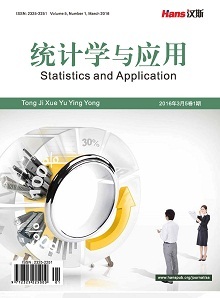 (2008) A Nonlinear Interval Number Programming Method for Uncertain Optimization Problems. European Journal of Operational Research, 188, 1-13. Oliveira, C. and Antanes, C.H. (2007) Multiple Objective Linear Programming Models with Interval Coefficients—A Illustrated Overview. European Journal of Operational Research, 181, 1434-1463. Calvete, H.I. and Cale, C. (2012) Linear Bilevel Programming with Interval Coefficients. 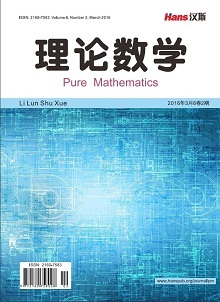 Journal of Computational and Applied Mathematics, 236, 3751-3762. 郭均鹏, 吴育华. 区间线性规划的标准型及其求解[J]. 系统工程, 2003(3): 79-82. Huang, G.H. and Cao, M.F. (2011) Analysis of Solution Methods for Interval Programming. Journal of Environmental Informatics, 17, 54-64. 蒋峥, 戴连奎, 吴铁军. 区间非线性规划问题的确定化描述及其递阶求解[J]. 系统工程理论与实践, 2005(1): 110-116. Liu, S.T. and Wang, R.T. (2007) A Numerical Solution Method to Interval Quadratic Programming. Applied Mathematics and Computation, 189, 1274-1281. Gong, D.W., Qin, N.N. and Sun, X.Y. (2010) Evolutionary Algorithms for Multi-Objective Optimization Problems with Interval Parameters. IEEE Fifth International Conference on Bio-Inspired Computing: Theories and Applications (BIC-TA), Changsha, 23-26 September 2010, 411-420. Sen, S. and Pal, B.B. (2013) Interval Goal Pro-gramming Approach to Multiobjective Fuzzy Goal Programming with Interval Weights. Procedia Technology, 10, 587-595. 王宇平. 进化计算的理论和方法[M]. 北京: 科学出版社, 2011. 刁在筠, 刘桂真, 宿洁, 马建华. 运筹学[M]. 北京: 高等教育出版社, 2007.